We all have experienced muscle soreness. Muscle soreness is because of exercise or an intense training session. Stretching or doing yoga after working out is called active recovery. Yoga and stretching are very important for sore muscle relief. 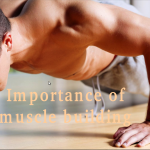 After exercise or intense training, our body muscles get very pumped up. So yoga provides relaxation, flexibility and stress relief to pumped up muscles. Many people think that yoga only as a physical exercise where people stretch and breathe in the most complex ways. But these are actually only the most superficial aspect of this profound science of unfolding the infinite potentials of the human mind and soul. Here check out info-graphic by Cosmopoliton showing 8 yoga inspires-stretches to soothe sore muscles.